SAME TRUSTED SERVICE. NEW INTERNATIONAL POSSIBILITIES. Since your business takes you everywhere, we’re everywhere too. With international hubs in key regions, CDW now offers operations across the globe. Partnering with us for your international needs can help you reach your goals and reduce the risk, complexity and cost that come with procuring, deploying and integrating technology. By combining local knowledge with years of experience in multinational logistics, CDW can deliver consistent, service-driven solutions across the globe while making international IT management simple. Contact your account manager to see how IT Orchestration by CDW™ can help you with your international business. CDW offers nonstop, integrated solutions to over 150 countries all over the world. With a global team of experts and trusted expertise in product fulfillment, delivery, licenses and solutions, no matter where work takes you, you can count on the People Who Get IT™. Partnering with CDW for your international IT needs — just like you do domestically — lets you streamline your IT management with one integrated team of experts and a wide range of benefits. Manage risk through CDW's dedicated teams, who have experience in tax, compliance and international logistics, as well as familiarity with local business laws and regulations. Through our global vendor partnerships, CDW is able to provide support and understanding of the costs and complexities in supply chain management across geographies. CDW has built a network of international hubs, able to service clients around the globe and abide with local business procurement, billing, laws and regulations. With expertise in trade compliance, logistics and tax, CDW has built a mature international supply chain to assist customers in the deployment of international technology. CDW delivers a consistent range of resources, including hardware, software and service solutions similar to those in your home region, so you can efficiently and effectively manage IT from remote locations. 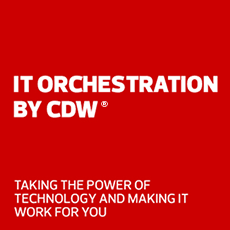 CDW partners with the best technology companies on Earth to provide you with solutions, products and services that fit your specific needs, no matter where your business takes you. can help you with your international business.